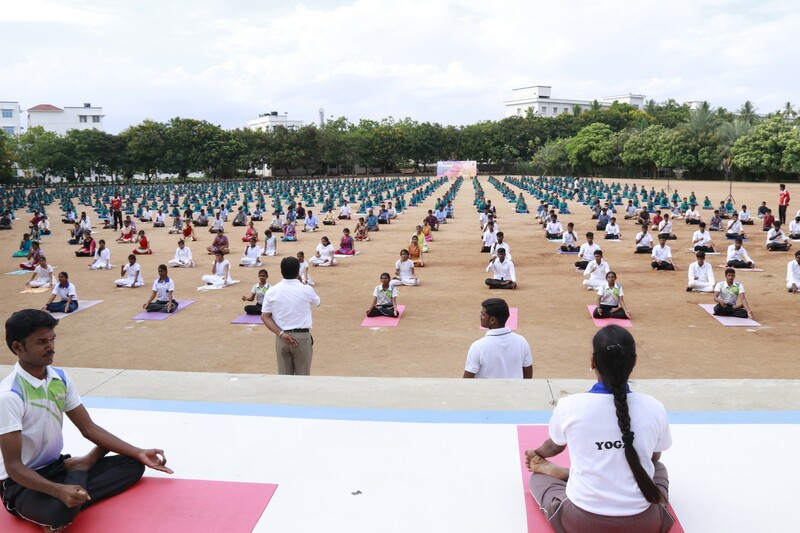 We observed 4th International Yoga Day on 21st June, 2018. 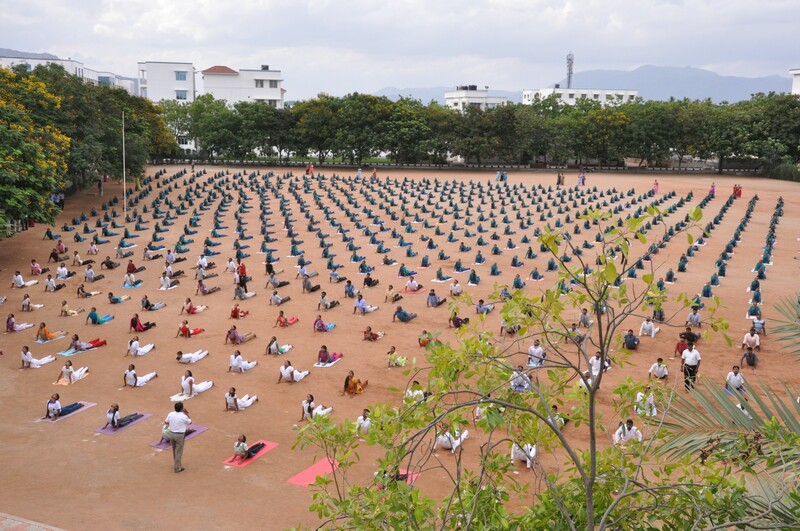 Under the auspices of National Service Scheme and Youth Red Cross, more than 1100 students willingly participated in the event of celebrating the International Yoga Day. 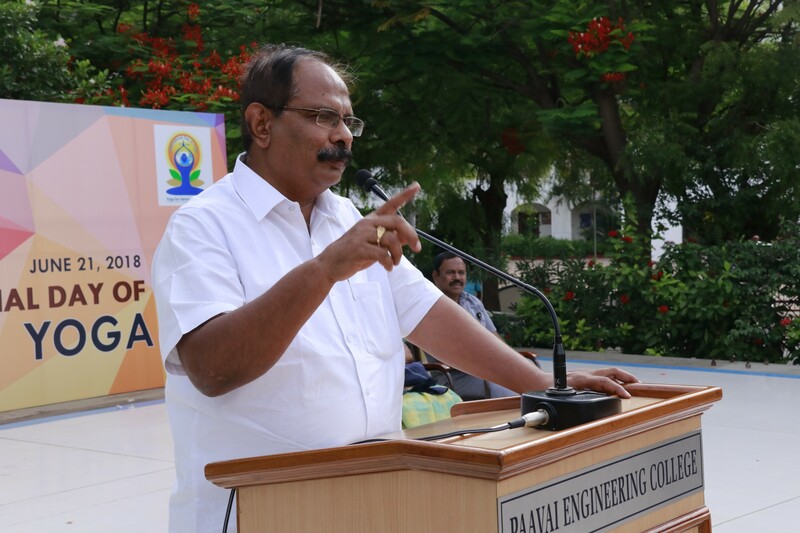 Mr.A.C.Murugesan, DRUCC – (Divisional Railway Users Consultative Committee) Salem Railway was the chief guest for the function. 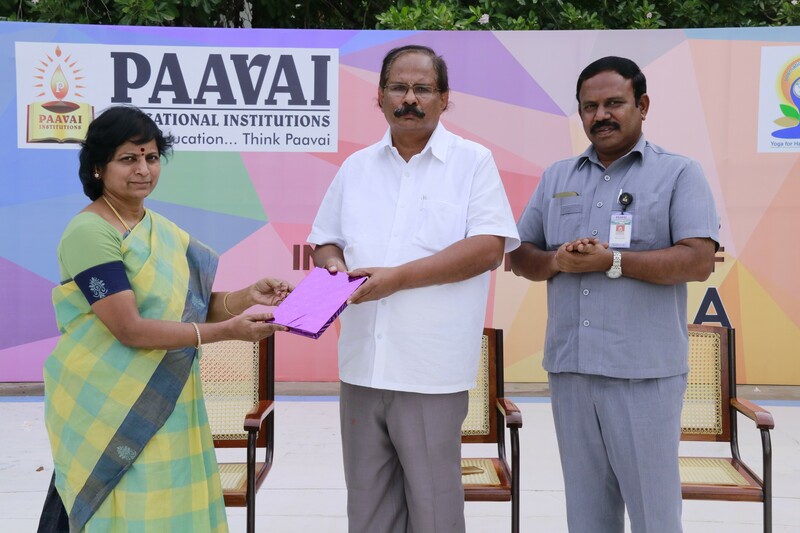 The function was presided over by Shri.CA.N.V.Natarajan, Chairman, Paavai Educational Institutions and Smt.N.Mangai Natarajan, Correspondent, Paavai Educational Institutions. Dr.K.K.Ramasamy, Director Administrator, Paavai Educational Institutions, Dr.M.Premkumar, Principal, Paavai Engineering College, Heads of Departments, Mr.M.Santhanaraja, Physical Director, Paavai Engineering College, Mr.C.Rathnakumar, NSS Programme Officer, Paavai Engineering College and the Staff members were actively participated in this function. 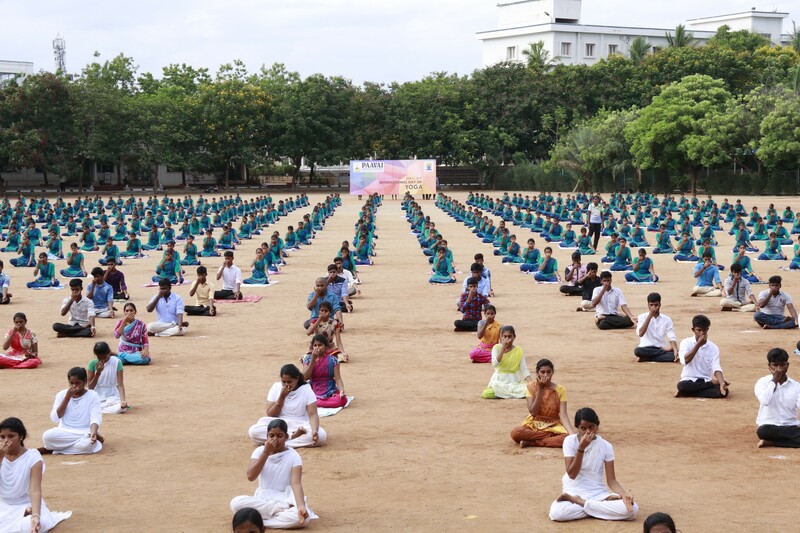 All the students performed the fundamental Asanas in Yoga. 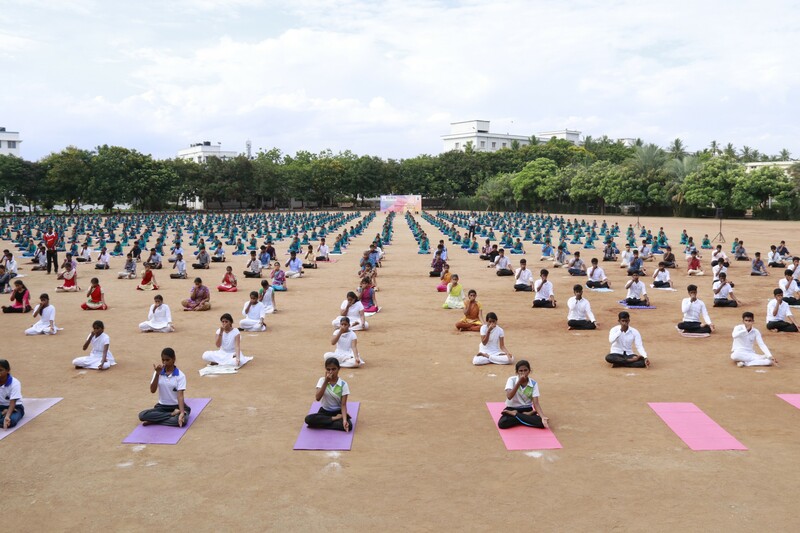 At the end of the programme, an oath was taken to do Yoga regularly at least for 30 minutes every day.